This Blue Italian set of 4 hiball glasses from Spode will add an extra touch of elegance to your dinner table. The hiball glasses feature the iconic 18th century Imari Oriental border in Blue Italian's deep blue colorway. Hand wash only. 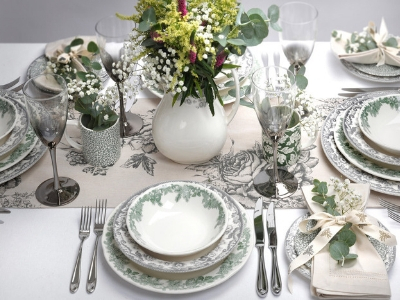 https://www.spode.co.uk/spode-blue-italian-hiball-glass-set-of-4 16002 Spode Blue Italian Hiball Glass Set of 4 https://www.spode.co.uk/media/catalog/product/b/l/bli5404-xp_p2.jpg 23.24 32 GBP InStock /Dining/Blue Italian/Glassware /Home & Gifts/Shop all Home & Gifts /Home & Gifts/Gifts for Her /Home & Gifts/Gifts Under £50 /Offers/Shop all Offers /Offers/Blue Italian /Dining/Blue Italian/Tableware /Dining/Blue Italian/Giftware /Dining/Shop all Dining Collections /Home & Gifts/Wedding Gifts /2019 March Outlet Sale/Shop all sale /2019 March Outlet Sale/Tableware Offers /2019 March Outlet Sale/Gift Offers /2019 March Outlet Sale/Spode Offers New for 2016 Spode's extraordinary Blue Italian design is known for bringing effortless charm and timeless style to homes across the globe since 1816. 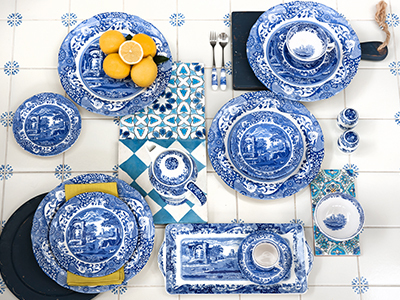 Over 200 years later, at the centre of those special family moments, elegant dinner parties and as essential accent pieces in the home, Blue Italian is adored as an iconic British design. 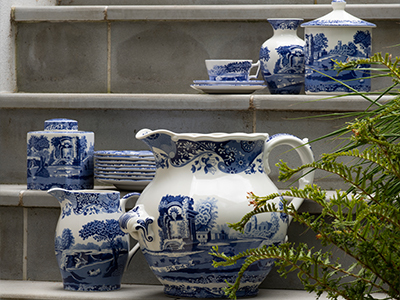 With its finely detailed 18th century Imari Oriental border encompassing a stunning scene inspired by the Italian countryside and renowned for its strength and durability, Spode's Blue Italian has something special for everyone, from gifts that will last a lifetime to the roasting dish that serves your family.